Private Individually Planned Tours in Australia - Specialized private and family itineraries... Our Australia PrivateTours department will customize a private custom tour or vacation of Australia for your small, private or family group. If you have special group, or want a different itinerary. Unique and Creatively Developed Group Tours to any part of Australia, New Zealand - wedding anniversaries, adventures for top performing sales staff, birthday celebrations, getaways with your buddies, family reunions and more. You can't miss out on an incredible opportunity to experience these destinations EXACTLY THE WAY YOU, AND YOUR TRAVELING COMPANIONS, WANT. Driver-guides are knowledgeable and well educated, and with such a small group, they have time to spend with everyone. It's like traveling in a big family. Group of 6 or more? Are you are a member of a group or a society that likes to travel? Contact us for a price quote for your private group tour . Although our scheduled tours are for small groups, we can customize a tour for 6- 200 guests. Larger tours include free places for you and other extras. Plan a trip to your very own Australia or New Zealand. No group too small or large. Planning a sorority reunion in Australia, professional organization trip, church or survivor travel to New Zealand, or an New Zealand garden tour? We would be happy to customize an itinerary for you, including private minibus or motorcoach with a tour guide, hotels or B&B's of your choice, and any sightseeing or meals you would like. If you don't see exactly what you want here, we will do our best to custom design a unique tour just for you. We can design a special tour for you or your own group, others just like you who enjoy discovering special, unique hotels, and unusual inns, outstanding food, and cultural, literary and historical sites. We prefer to plan these tours in a relaxing manner, staying at two or three base locations from which you can visit places of interest - and not have to move luggage every day. What goes into an unforgettable tour of Australia? Lots of great scenery, for sure. Perhaps a bit of something you can't quite put your finger on, but nevertheless creates a lasting impression. Maybe an Aboriginal dance, perhaps a conversation with a local shopkeeper, or a shepherd working his dogs. We pay attention to all the details so you can relax and enjoy your trip. Seamless travel experiences are made easy for you by our team of creative tour planners. Ask us for details. If you don't know where to start, we have suggested itineraries for garden tours, wildlife, family travel and more. Ask about our specially designed tours for non-profit institutions. Fundraiser Travel is our specialty. Relaxing ... Stress-free ... Safe... Affordable family travel packages We recognize that traveling with a family requires a different type of vacation. We have thought a lot about family travel in AUstralia and New Zealand, and we have dedicated ourselves to creating departures that account for three generations of needs, staying at child friendly hotels in New Zealand and Australia. Nothing can be more rewarding than sharing a unique experience with your children or grandchildren. We have created a special multi-generation adventure knowing that our activities will interest the young and the young at heart. No one will complain about being bored. 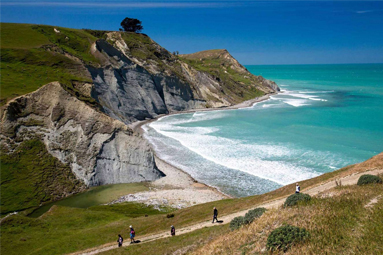 You and your family will learn about the best of Australia or New Zealand. Family Savings Down Under! A cruise can be a good choice for families, too. Our Group Department are experts at planning the unusual itinerary for a group of six or more. If you are a member of a group or organization that wishes to travel together with a focus on the activities and events of your particular interest, please ask our group travel experts to design a customized program especially for you. Our decades of experience and volume buying power will enable us to give you the most competitive prices while maintaining top quality.